Home / Contests • Featured / Contest Time! Win Saved By The Bell: The Complete Series On DVD! Including The College Years and Good Morning, Miss Bliss! Hey Preppie! Contest Time! 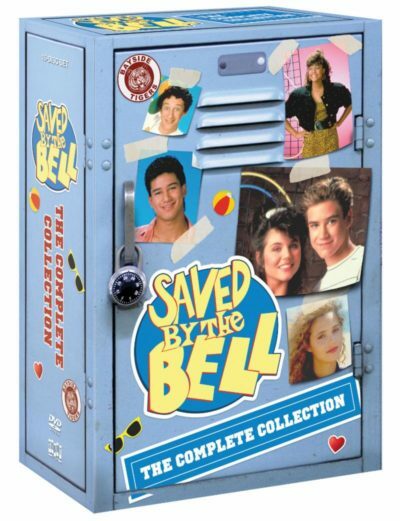 Win Saved By The Bell: The Complete Series On DVD! Including The College Years and Good Morning, Miss Bliss! Hey Preppie! OMG, can I tell you how excited I am to crack open this DVD set of Saved By The Bell! The Compete Collection is out now on DVD and it includes the Good Morning, Miss Bliss episodes as well as The College Years as well. I haven’t see them since the series originally came out! I can’t wait to sit down and really explore this set, I think it’s a perfect present for the holidays that’s for sure! Thanks to the awesome folks at Shout Factory we have a set to giveaway to a lucky reader! Woo hoo! Check out the info for the set below! 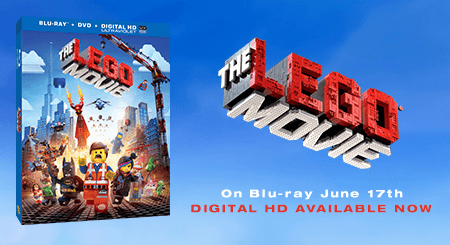 and it’s available today for pre-order, at Amazon.com! The 2017 Top 10 Worst Autograph Signers And Least Fan Friendly Celebrities! Meryl Streep! Chadwick Boseman! Adam Driver! And More! This was one of the most touching moments … when jessie had the melt down because she was on stuff and they all helped her. I loved when Zach would break the fourth wall. I always remember the dream/fantasy sequences with the pink haze around the screen. I watched saved by the bell on Netflix I never grew up watching since I was not even born when the first eposide came out. I loved the music and Screech. I have actually never seen Saved By the Bell and am hoping to win to get the chance to watch all of the episodes. I loved the Snow White episode. I used to play saved by the Bell Trivia with a friend in high school. I remember coming home from school and flipping in the TV to watch it. And in the summer waking up early to do my chores so I could watch it in time. I also loved Kelly. This was my go to Saturday mornings!! Always fighting with my sister as to who was cuter…Zack or Slater. My choice was always (and still is!) Zack! I used to watch Saturday mornings. We used to watch this when we were kids and we like the show. I don’t have one. I never saw the show. I think that Screech is funny. I remember my daughter watching this show and loving it. A big fan! 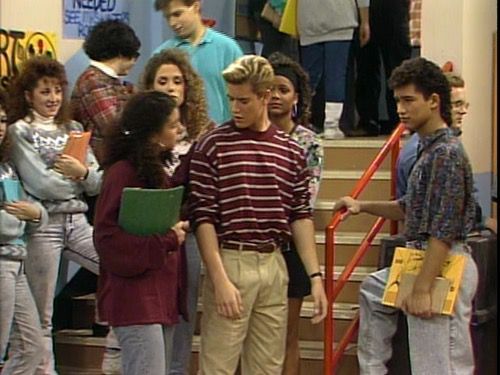 I don’t really have a favorite memory from Saved by the Bell because truthfully, I didn’t watch the show enough when it was on to gain one. However, I would really like to win this giveaway so I can finally watch the show enough to where I’ll finally have a favorite memory about it. Thanks for the fantastic opportunity to win!